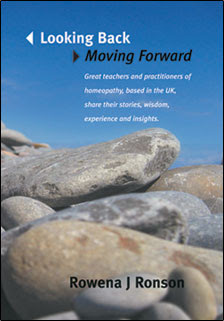 "The Guild of Homoeopaths was formed in 1996 to present postgraduate courses that introduced the use of esoteric wisdom and understanding into homoeopathic practice. For several years groups of practitioners had been working under the guidance of Janice Micallef to meditate upon the use of remedies to treat spiritual issues that existing material medica and repertories did not address. Meditative protocols for the proving of new and existing remedies were developed and used in clinical practice with great success in many cases. My wife Marion is a Guild member having completed the second postgraduate course and our first book grew out of a need to access the information contained in her notes and subsequent clinical practice. Using information from notes taken by various colleagues from the three courses, Prometheus, Madeline’s books and feedback from networking the repertory was put together for our personal use. No attempt has been made to standardise rubrics for general use as it is in the format that we like and are familiar with. This was considered before the repertory was made available but as Susan Palmer of the Guild has produced a more formal repertory we regard ours as a stopgap especially as it does not cover the whole range of remedies (yet). This repertory includes the remedies in Madeline’s Volume 2 and others that have to come to light since our first repertory. We have changed the format somewhat in response to comments from colleagues so that remedies are easier to pick out from the text. Similarly at the end of the book notes on individual remedies are included. It is a repertory of 97 meditative provings compiled from notes taken at Guild of Homoeopaths and Colin Griffiths lectures, from Prometheus (the journal of the Guild of Homoeopaths), The New Materia Medica by Colin Griffith and Meditative Provings Vol 1 and Vol 2 by Madeline Evans. The Repertory is in a process of updating new remedies from The New Materia Medica Vol 2 by Colin Griffiths . List of remedies needing update from latest notes. NOTES ON DEAD OR LOCKED PELVICE SYNDROM.